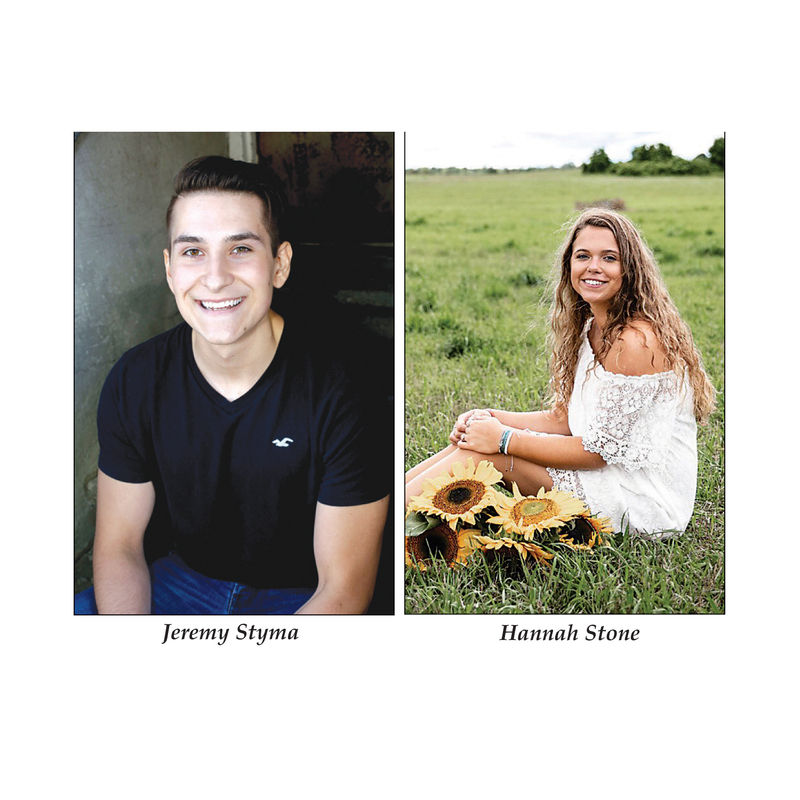 Leading the way for the Posen High School Class of 2019 are valedictorian Jeremy Styma and salutatorian Hannah Stone. Jeremy Styma (3.9930) is the son of Randy and Jane Styma. He is a four-year member of the Wiking Kujon robotics’ team, Educational Talent Search (ETS), Students Against Destructive Decisions (SADD) and student council. He was a member of the pep club during his freshman, sophomore and junior years and is a member of the yearbook staff this year. Styma was inducted into the National Honor Society (NHS) during his sophomore year and played football during his freshman year. During his high school career Styma has worked at Cadillac Products Automotive Company. Styma has been given the opportunity to write code for industry level robotics. Styma has served as the team captain for Wiking Kujon every year as well as the lead design and programming member. In 2017 Styma was recognized as one of 10 students out of 500 teams in Michigan to become a dean’s list finalist through FIRST (for inspiration and recognition of science and technology) robotics. Styma has received the president’s award for academic excellence as well as the English and history awards. Following his graduation this spring, Styma plans to continue working at Cadillac Products and study computer engineering at the University of Michigan. Hannah Stone (3.9917) is the daughter of Andrew and Dawn Stone. She has participated in four years of basketball, softball and volleyball for the Vikings. She has been a class officer all four years of high school and is a four-year member of the pep club and student council. Stone was a member of SADD during her freshman, sophomore and junior years and was inducted into the NHS during her sophomore year. Stone participated in ski club during her freshman year and was on the homecoming court as a freshman and homecoming queen as a senior. She has won the president’s award for academic excellence twice, won the coaches award in softball, the best setter award in volleyball and has been recognized as a scholar athlete with the North Star League (NSL). She has won the business award and video production award. Stone has also served as a 4-H summer camp counselor. 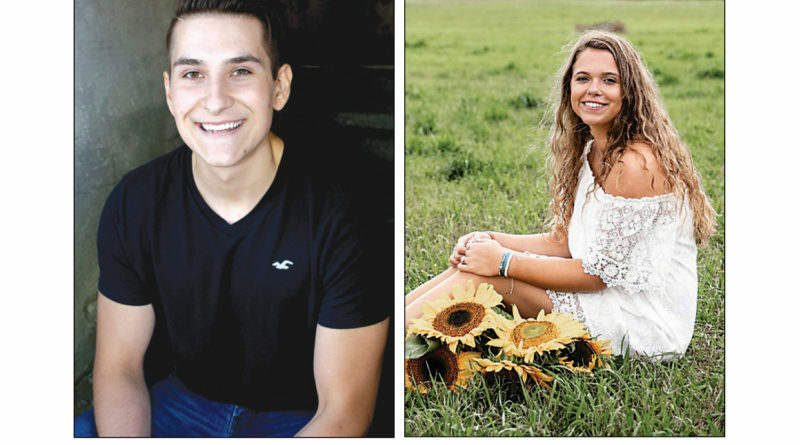 After graduating from PHS this spring, Stone plans to attend Michigan State University to pursue a degree in business management with a minor in advertisement.